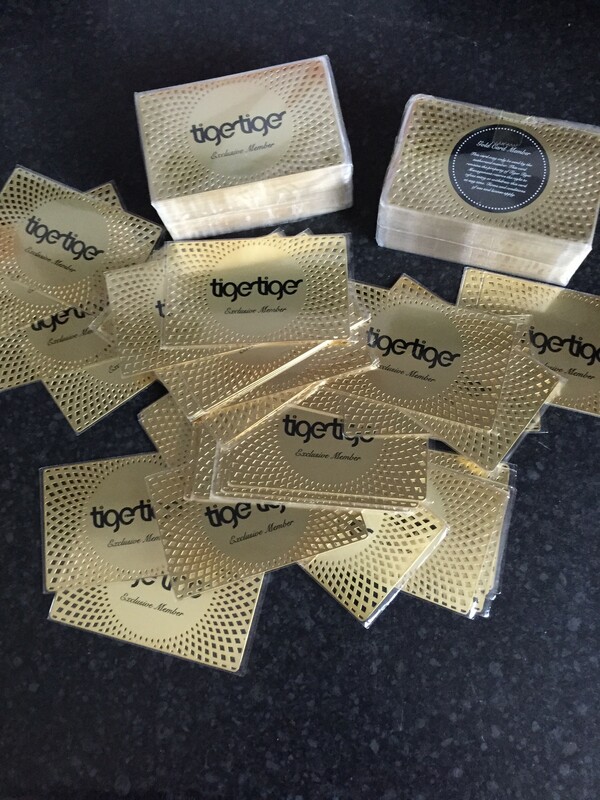 Tiger Tiger have had serious issues in trying to get their metal VIP Gold Loyalty cards produced. 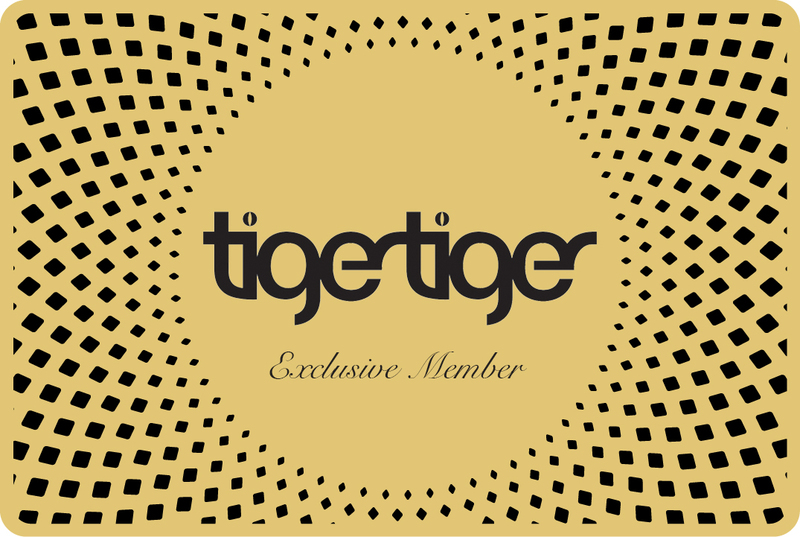 We had to redesign the card which is made out of metal and then has shapes laser cut out of it. 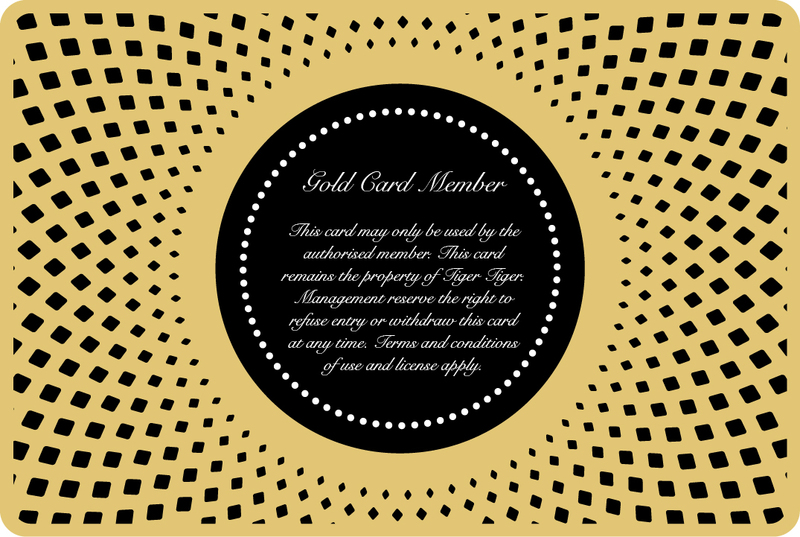 Once this process was complete the cards were printed on with the logo and information on the back of the card. They have been overjoyed with the end result and so too have their VIPs as they manager mentioned that have been extremely well received.